You'll find a wide variety of shapes and styles for pergolas here as well as plans for both free-standing and deck pergolas. After you've looked at these free pergola plans be sure to check out my other free woodworking plans for decks, gazebos, sheds, picnic tables, greenhouses, potting benches, dog houses, porch swings, chicken coops, bookcases, home bars, cabins, and workbenches. HGTV has a free pergola plan that will build you pergola that includes adjustable roof panels to control the amount of sun you get. HGTV has another free pergola plan and you'll love how simple this pergola project is. Included in the free pergola plan is building instructions, a list of materials and tools you'll need, photos, and even videos. Popular Mechanics has a free pergola plan available that will help define your outdoor space using the beauty of cedar. Included in the free pergola plans are step-by-step instructions, animated diagrams, and lots of photos. Here's a very through pergola plan that will help you build a pergola from start to finish in an entire weekend. 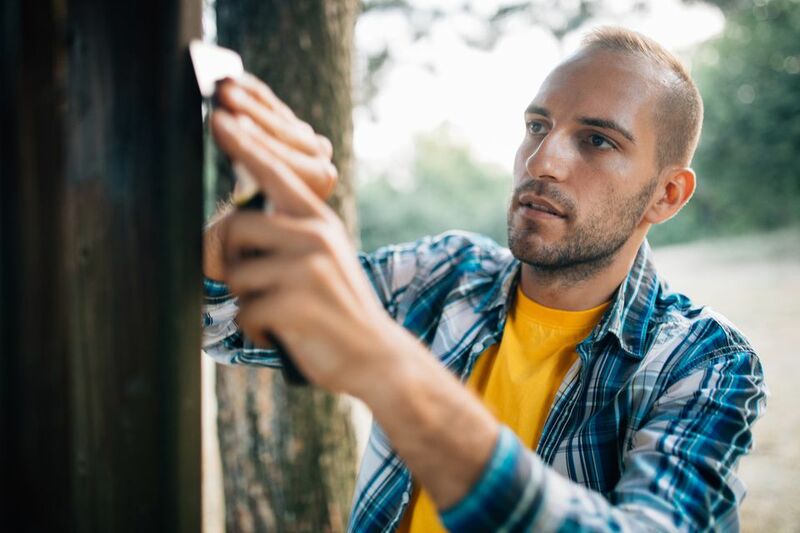 You'll get step-by-step instructions, a materials/tools list, photos, diagrams, and videos to help you build this simple but beautiful pergola. Here's a free pergola plan to build a pergola that goes over an existing deck. The design includes cables and exposed bolts for a modern twist that can double as plant hangers. 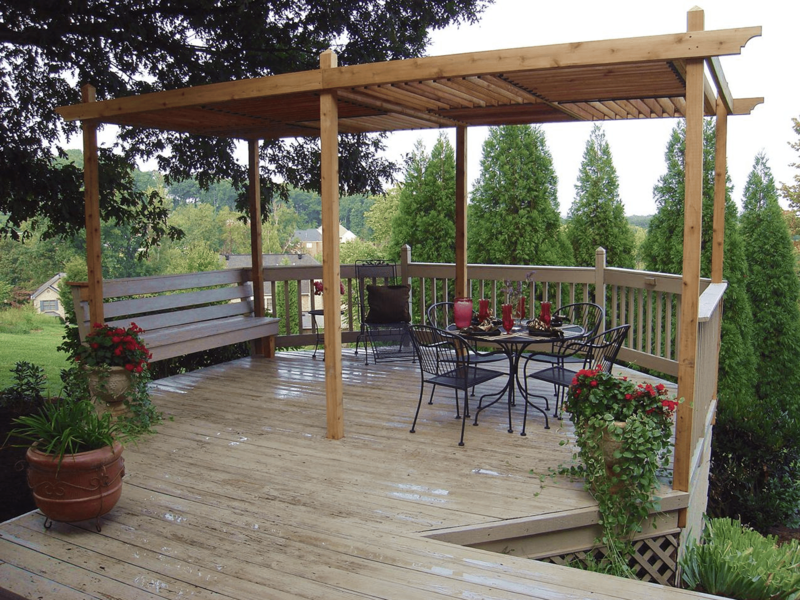 Diagrams, materials/supplies list, and instructions will help you build this deck pergola. This free pergola plan is modeled off the expensive Pottery Barn Weatherly Pergola which means you can get the same look for a lot less if you build it yourself. In this free pergola plan, you'll get instructions for building the foundation and structure, as well as a materials and tools list, a cut list, diagrams, and photos of the pergolas others have built using this plan. A Beautiful Mess has a three-part series on how to build your own pergola on a budget. Included in the series is planning, building, and then adding plants and styling. This DIY pergola plan from The Handmade Home is for a freestanding pergola that you can build right next to your house or further away in your yard. The free plan includes a supplies list, building instructions, and color photos to help you get the same look. There are full downloadable plans in a PDF file that includes the full instructions on how to build the pergola. My Outdoor Plans has a free pergola plan that will build a basic 12x12' pergola perfect for the beginner builder. As an added bonus, it only requires basic tools that you probably already have. A tools list, materials list, diagrams, and building instructions will help you finish this simple pergola in a weekend. Who says pergolas can't be covered? This free pergola plan from Lowe's includes a canopy made out of weather-resistant fabric to keep you cool and shady all summer long. This free pergola plan includes all the details, instructions, and diagrams you'll need to build this unique pergola. This free pergola plan will build you a 10x10 pergola that takes surprisingly few materials to build. Diagrams, building instructions, materials list, tools list, and tips are all included in this free pergola plan. Ron Hazelton has a free pergola plan for a free standing structure that you can put anywhere in your yard. You'll find step-by-step instructions that include a video for every step of the process. Here's another free pergola plan from Ron Hazelton, this one designed to go over an existing patio and attach to the side of your roof. Lots of videos will help you along every step of the building process when you build a pergola using this free plan. If you're looking for a quick and easy pergola project, this free plan for a box type pergola is just for you. Lots of photos and building instructions along with diagrams and lumber advice will help step you through building this fantastic pergola. This free pergola plan is unique because the posts of the pergola are surrounded by planters. This makes it a great choice if you're looking to add vines or climbing plants to your pergola. Three pages of illustrations and building instructions will guide you through building this pergola.